Still, tens of thousands more in the federal government already go to bed each night fearing that tomorrow their name might appear in a media report about one of their colleagues they just happened to bump into at an office picnic. As for duration, these trials will be more like Nuremberg than anything seen in America in recent years, which held 12 trials over 3 years, against 185 defendants, convicting 147. So they were not tried individually, even the most heinous of the criminals standing 18 abreast. So don’t tell me an American government doesn’t know how to pull off such a mass shindig successfully. What will not be the same in these trials coming to a criminal theatre near you is that one of the major conspirators to these crimes will not be in the dock, but be in the gallery covering the trials as it always has every major news event from the beginning. 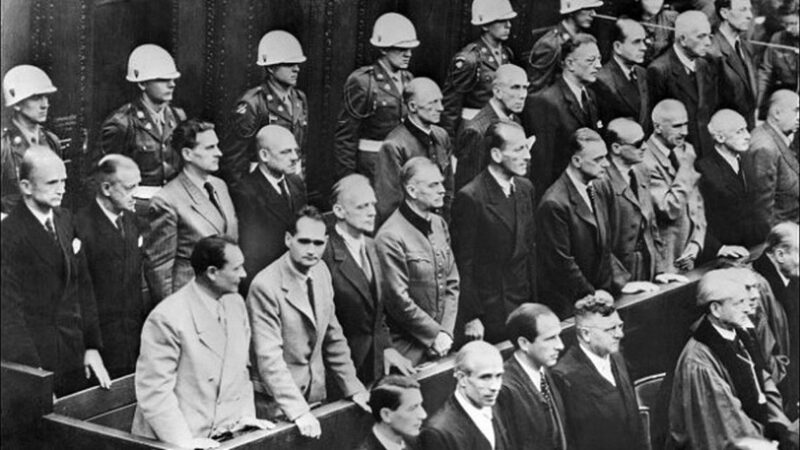 While Nuremberg put an entire ideology of hate on trial, it did so against defendants by name, one name at a time. This is consistent with American sense of jurisprudence. The old German state media did not cover the Nuremberg trials. That media had burned up with the rest of the reich in 1945. But one of its principal publishers, a Jew-baiter named Jules Streicher, from a newspaper with an unpronounceable name in Bavaria, was one of the original 11 who were convicted and executed in 1946. But generally, the American media will cover these trials the same way it has any campaign or presidency it hasn’t liked. They will compare these trials with Stalin’s Show Trials of the 30s. Still, with or without a trial, our media’s Jules Streicher’s will not be there any longer. Much will have change in their front offices. Many of the nameless and faceless executives in American will also resign or retire. A couple may even reach inside that locked drawer on the right of their desk, only having watched the current media in action, unless a royal family name in publishing were involved, I doubt any have the courage. …for no government official in any office will give them the time of the day for several years..
…”Never tell anyone in the media a goddamn thing! For if you do continue to talk to the media, they will sit in the gallery with note pads and make notes about your trial just as they noted and passed on the information that got the entire trial parade started. Big loser? A partisan American media. Everything that goes around, comes around. Did Donald Trump Just Get Lucky or Did he Mastermind a Masterful Stroke Against the Deep State?